The perfect hideaway on St. Croix is on the southeastern end of the island, among the best sandy beaches, breathtaking views, and breezes that will lull you into tranquility. The villa is Paradise Found, and it can be yours for as long as you'd like. 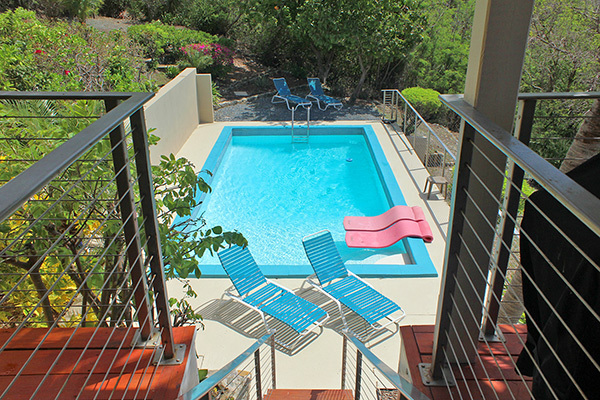 Paradise Found offers you the convenience and comfort of your own home. In fact, it's so comfortable that you may never want to leave. 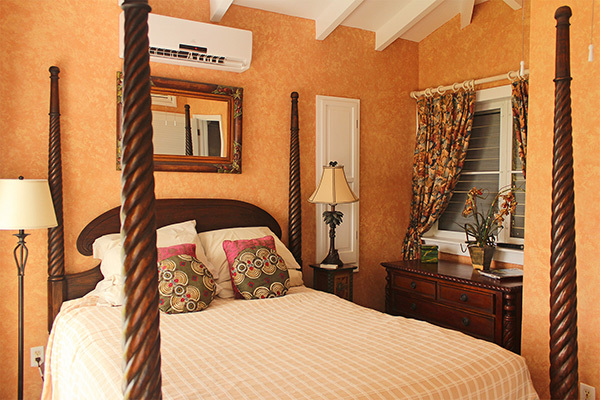 Paradise Found is nestled into a hillside on St. Croix's residential East End. 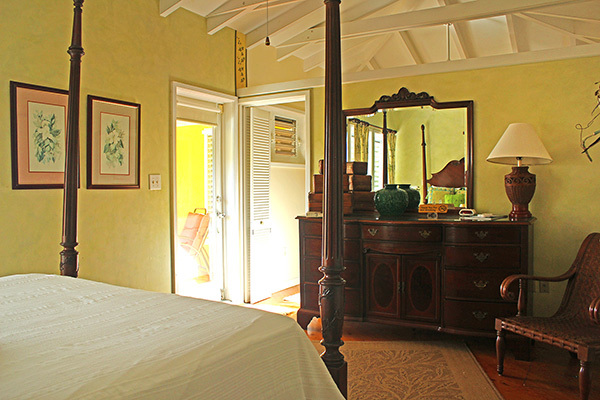 This uniquely designed West Indian style home is constructed as three separate buildings- adjoined together by an outdoor, covered wrap-around deck. Paradise Found faces southeast on St. Croix's south shore. 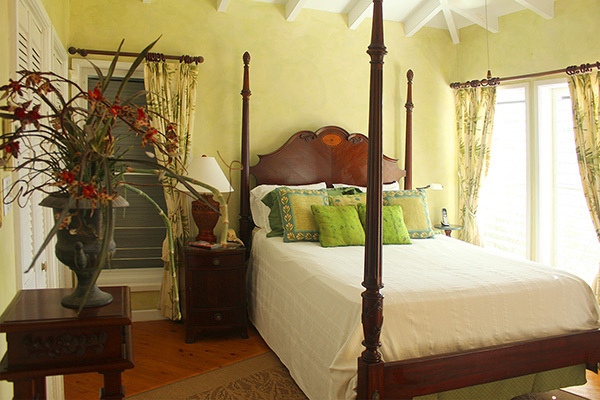 From every room in the house you will see spectacular sunrises over the ocean and sunsets over the hills beyond. When you decide to venture out of the comfortable Paradise Found Villa, you won't need to travel far. Beautiful beaches, snorkeling, hiking, water sports, dining, entertainment, golf, and tennis are less than 10 minutes away! Paradise Found is a short drive down the road (within walking distance) to Divi Carina Bay Resort and Casino. Those who are looking to do absolutely nothing on their vacation will be happy sitting poolside at Paradise Found enjoying the view. But those who want to experience St. Croix will not be disappointed in what she has to offer. 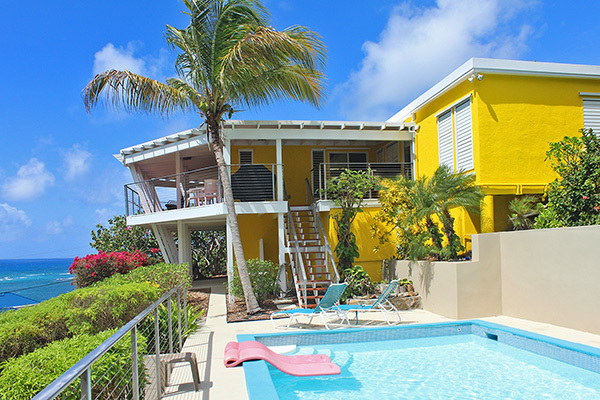 Begin your education about St. Croix in picturesque Christiansted, only 15 minutes from Paradise Found. Visit Fort Christianvaern, the Apothecary Hall, and the Steeple Building. Stroll along the Christiansted boardwalk to see the boating activity in the harbor, and while there, make sure to take advantage of the many great shops that bring the shaded galleries and arcades to life. There are so many unique St. Croix products to look for -- island inspired jewelry, glass, artwork, clothing, and food. Guided walking tours are available and maps and literature are available at the National Park service office, located right next to the Fort in the Scale House. Sugar Mills hidden around the island. We’d love to hear from you & would be happy to help you plan your trip to St.Croix. So contact us today to book your trip to the U.S. Virgin Islands! Paradise Found is a completely furnished home. It includes linens, towels, full kitchen supplies and washer/dryer. Maid service is provided once per week. ©2016 Paradise Found St. Croix - All rights reserved.